Summer is coming! Queue music. 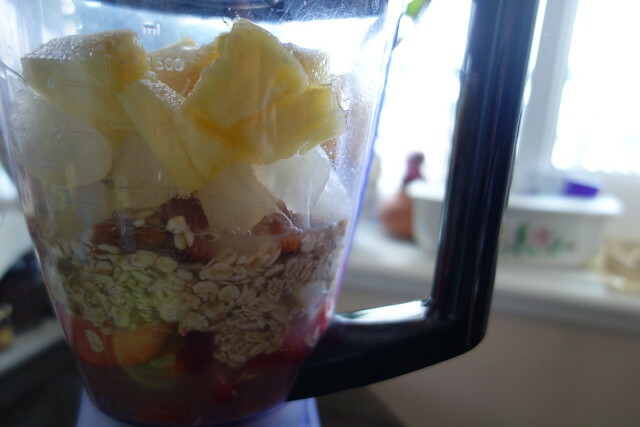 When the weather gets hot I can't handle full on meals so the best way to get all my nutrients and vitamins is through a couple fruits and a blender. 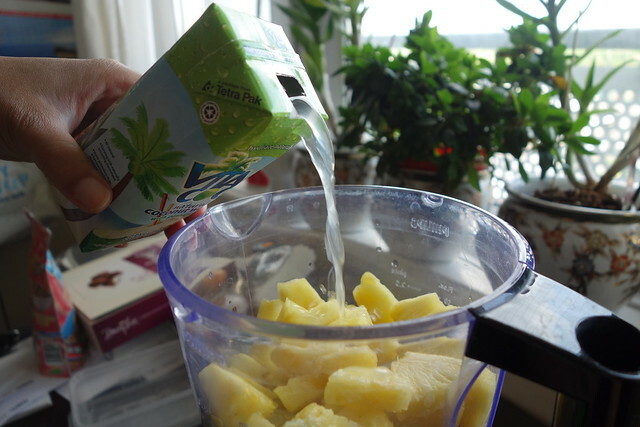 To get a smoothie blending I sometimes add water but after a workout, you can boost your smoothies with VitaCoco which is full of electrolytes - perfect for your post work out fuel. If you're on Instagram check out the hashtag #poweredbycoconuts to see how others are staying energised with VitaCoco. 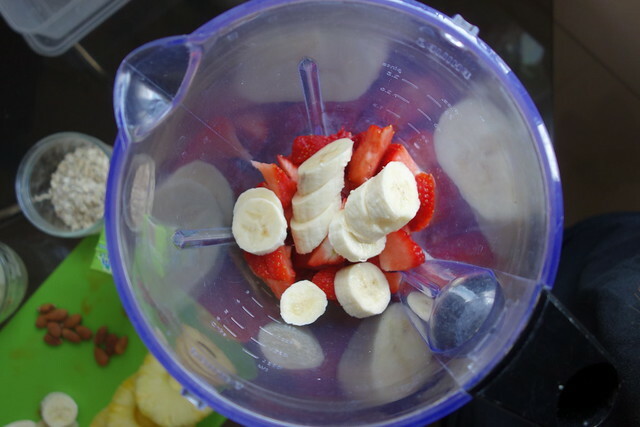 Add all ingredients to a blender and just blend! YUM! 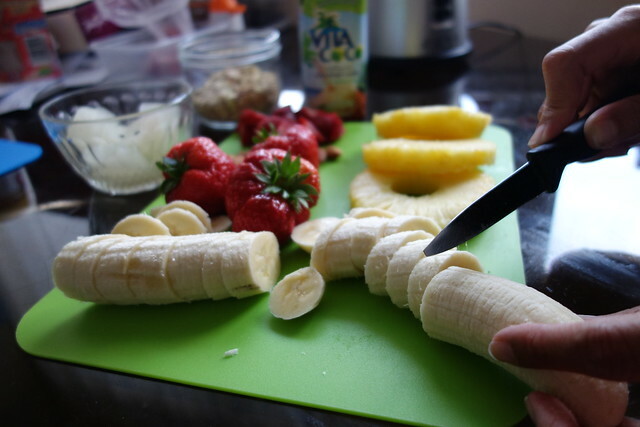 Check out our smoothie making in action and being the geek I am I've added some nutrition tips! After exercise your body loses electrolytes through sweat. Electrolytes are minerals found in our blood and cells. They do so much for our bodies; from maintaining a normal blood pressure, supporting our muscles and nerve function and regulating our energy and pH levels. These tiny things are doing a lot! 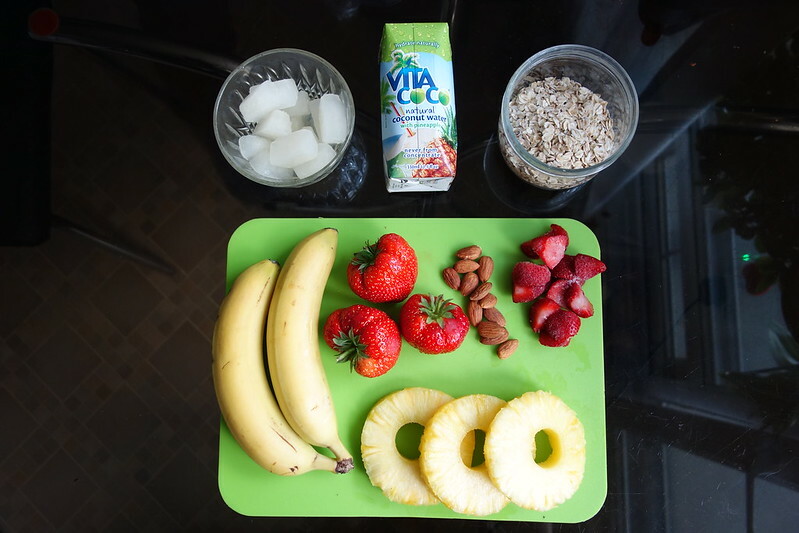 There are tonnes of electrolytes naturally found in coconut water making this smoothie perfect for some post work out fuel. An imbalance in electrolytes can cause muscle fatigues and cramps so make sure you're getting your electrolyte boost! Oats are great for keeping you fuller for longer - therefore helping maintaining your weight. In the recipe I mentioned whole rolled oats - this is a must. Do not use quick cook oats. Whole rolled oats have a low GI (Glycemic Index) meaning your body takes longer to break them down. The longer your body takes to break down foods the more steady the flow of energy your body gets. 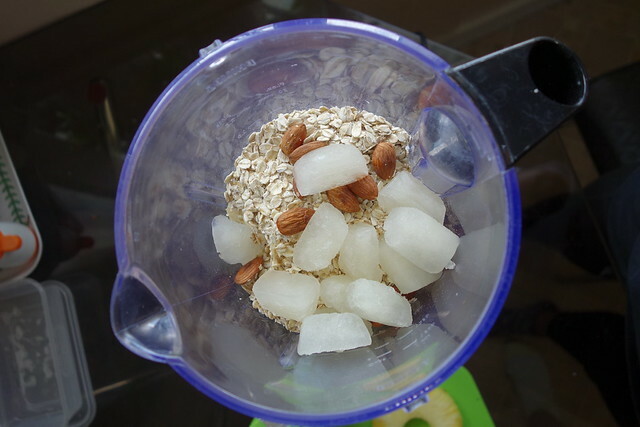 Quick cook oats are high GI as they are easy for our bodies to break down, therefore giving your body a big energy spike. If you don't use this energy straight away your body is more likely to convert it into fat to use in the future! Check out the Food & Lycra healthy chocolate oat protein cake recipe. 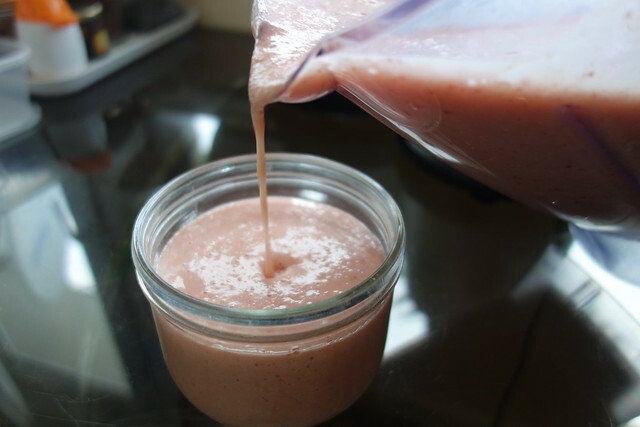 I always add a few almonds to my smoothies for an extra protein boost - click here for all the reasons why almonds are good for you. 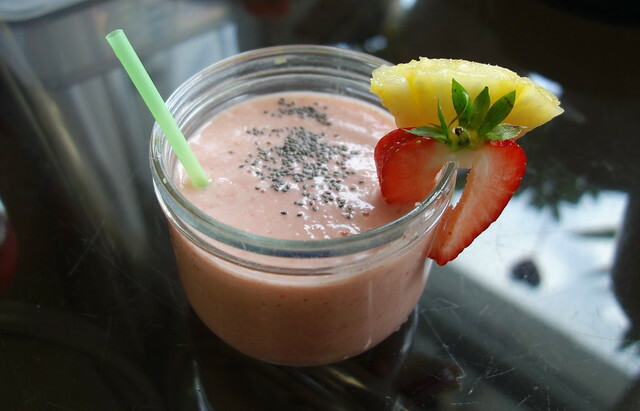 Sprinkle some super food chia seeds on top of your smoothie for an extra crunch.